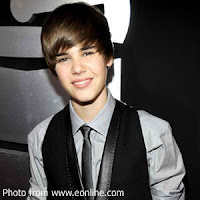 I watched “Justin Bieber: Never Say Never” last night on HBO. Jesus! I still can’t believe that I actually did, fan of head-banging rock music that I am. I mean, those who know my taste for music know that I usually go for the Bon Jovi-Def Leppard type. I can’t say that watching that documentary made me a fan; but I have to admit that I was fascinated enough to see it through to the end. I mean, who makes a biography of a teenager? Normally these are made for distinguished people who have lived full lives and are just about getting ready to get inside the box. A teenager? There is always a trade-off, they do say; and for Bieber it has been exchanging this normalcy for the glamour life – not to mention millions of dollars – of a pop icon. Where other boys his age throw Frisbees in parks, Bieber can’t even walk the streets without being mobbed. That can’t be fun! All I’m trying to say is that while I had heard of this Canadian YouTube sensation kid called Justin Bieber before, I wasn’t interested enough to want to know more or listen to his music. Watching the documentary last night explained a few things that I used to ignore as simply teenage idiosyncrasies. For instance, kaya pala some of the boys who used to play under me, kahit na banas na banas, used to wear these tight hooded jackets and ridiculous coloured sneakers. Now, of course, I know that fashion through the years has to a certain extent been driven by the music scene. Those bangs swept down to the forehead, I had seen before. That was how the Fab Four used to wear their hair when they were still a relatively new band trying to break out of Liverpool. That hairstyle caught on as a rage worldwide as well back in the sixties. Now the songs... Well frankly, having been a teenager back in the seventies when lyricists were actually poets who thought out their words, I can only listen so much to baby-baby-baby-yeah. In fairness, Bieber songs are an improvement on the disco genre for which entire songs could be produced with the lyrics no more eloquent than ooh-baby-yeah. How’s that for lyrical illiteracy? 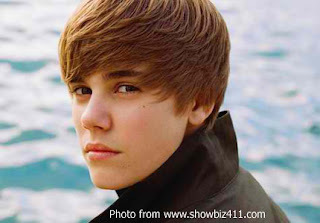 Back to Bieber, the mass hysteria in live shows as shown by the documentary was reminiscent of the Beatles playing across the States when teenagers were screaming and fainting from just listening to the band. I thought that was the height of teenage silliness. I dunno... But in Bieber’s concerts, the screaming girls didn’t look silly at all. First of all, they weren’t all teenagers. There were also 5-year olds and their mothers as well. What was different, I guess, in Bieber’s case was that entire families went to his concerts to have a good time. I appreciated that; and Bieber seemed to have been genuinely concerned that they got exactly what they paid for. While Bieber’s story has largely been one of success, one sort of wonders where all these takes the boy. The documentary chronicled how he practically lived a life in planes, trains and automobiles just to introduce his music to disc jockeys across the United States. Then, when he had cut his records and went on a cross-country tour, the boy lived in a bus for all intents and purposes. The tour was extensive; and towards the end – when the entire touring party was due at Madison Square Garden – the boy’s vocal cords were showing signs of damage. Bieber said in the documentary that he’s actually living his dream. Of course, when you’re that young, you just never think of how something will end. But it isn’t only old soldiers who fade away; even pop stars do.